“They’re always after ‘me Open Source Secrets!” A favorite for more geeks than sheiks, delicious Linux Charms cereal features frosted oats and colored marshmallows. 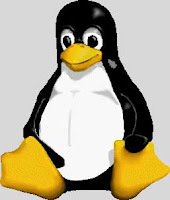 Tux the Penguin creates the marshmallow shapes – yellow dogs, red hats, and white boxes – with his Open Source magic. While kids love the taste, parents are happy that Linux Charms is fortified with 256 bit security, and is a good source of independent thought. It’s openly delicious! This magical Yellow Dog marshmallow, while not all that well known, has been found to be particularly tasty for those with iPod, cell phone and PS3 serving utensils. Probably the most famous of the Linux charms marshmallows is the Red Hat, which has taken the enterprise breakfast to the level of banquet in a short amount of time. White boxes have a flavor similar to that of Red Hats, but are getting to be much more plentiful due to their low cost and quality ingredients. We include White Boxes in each and every spoonful of Linux Charms for exactly that reason. Go ahead, get your fill. If your bowl just can't handle all of the goodness, you should consider upgrading to a Penguin bowl. Just one rack of these can hold 42 complete servings of Penguin Mills brand Linux Charms. Squirrels especially like their Linux Clusters cereal. Perfect when you're hungry for some number crunching.